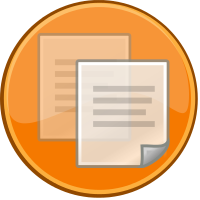 Upload of a commons.wikimedia.org image, the original image and information about its copyright can be found here, File:Edit-copy_orange_button.svg. current 23:55, 2 September 2013 200 × 200 (17 KB) Tom Hutchison (talk | contribs) Upload of a commons.wikimedia.org image, the original image and information about its copyright can be found here, [http://commons.wikimedia.org/wiki/File:Edit-copy_orange_button.svg File:Edit-copy_orange_button.svg]. This page was last modified on 2 September 2013, at 23:55.